Toyota have released plans to capitalise on Melbourne's skyrocketing demand for inner city living. The Australian car manufacturer is planning on converting a majority of their Elizabeth Street sale site into a residential development. Property advisory firm LEFTA has been reported to be nominated as the developer acting on behalf of Toyota. 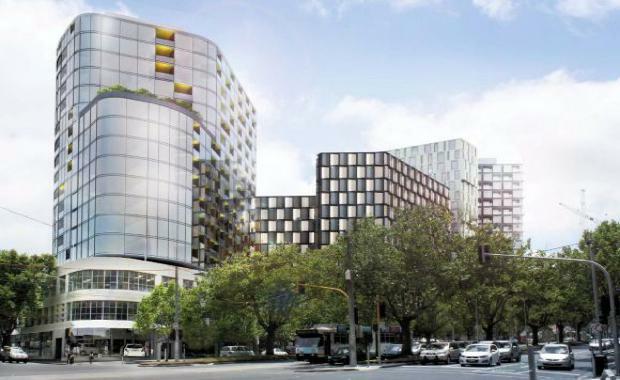 Plans for the 611-681 Elizabeth Street site were submitted to the City of Melbourne in December 2014 with SJB selected as the project architect. According to the planning submission the development will feature four towers on the 7,051sqm site. It will comprise 1,090 apartments, with two towers for residential use and two towers for student accommodation. Plans for a gym, rooftop areas, communal areas, and a 1,413sqm showroom most likely for Toyota have also been submitted. The Daughter tower will reflect the design of The Mother, following the black and white theme. This tower will also house the highest number of dwellings, with 388 studios, 24 one-bedroom apartments and 7 two-bedroom apartments.